I will be happy to give all potential Commercial-Residential Window Tinting clients in the San Antonio or surrounding areas a free estimate and expert consultation. This does not mean we go driving around town measuring windows for just anybody that calls. We have better and more efficient ways to get you an estimate and fast! In order to keep costs down and give you the best pricing possible we ask a little customer participation for a “Free Estimate”. I do mean, I can and will give you very reasonable pricing for your participation! Why? Because in our 23 years of being in business we have found that Clients that our involved in the process are usually more serious about having there windows tinted and not just out getting estimates from all these different Window Tinting Companies and doing nothing. With the procedures below you get your estimate usually the same day and you will know right away if Window Tinting in San Antonio, Boerne, TX works with your budget with less wasted time on your or our part. 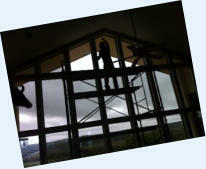 We have less costs to absorb from driving around measuring windows and from not being productive on other projects. This translates to big savings for you our potential client! Save the best for last: Go ahead and call me last, after you got your other estimates. I bet you will like my price and you will also feel confident deep in your bones that you got the right company for the job! Enjoy my over 24 years experience in this industry! This is not combined experience, this is my actual experience. I have many References! Ask for John. Here are the procedures for Free Estimate: 1. 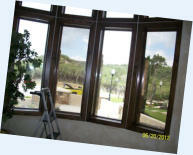 Measure your windows you are looking into having done. Its easy! measure the width and the length of each individual piece of glass in inches. Call me with those measurements. I will then do the math and call you back with an estimate. If you like the price given and wish to move forward with your project, I will schedule a day and time with you to confirm the price given over the phone and to show you film samples. I will at that time also discuss specifications and other information related to your project. 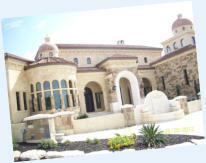 After you decide what materials we are to install, we schedule an install date. And/Or; 2. If you have a smart phone, shoot some pictures of the windows you are looking into doing from the outside of the house or commercial building. I can give you an estimate from the photos as well. Photos can either be emailed to me or sent as text to 210-213-4078. email photos to: jculvy@visionswindowtint.com. Thanks! There is no obligation and we never ask for money upfront to schedule your project! Please do not be naive and risk getting screwed over by non-professionals who require money upfront, especially in cash to start your Residential or Commercial Window Tinting project in San Antonio, TX!! True professionals should be financially stable enough to not require money upfront! 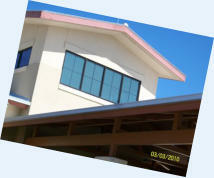 Procedure for Customer pay estimates, If you cannot measure your own windows, take pictures of them or you just want us to come out, we do ask a nominal trip charge fee of $45.00. This fee includes us doing the measuring and also giving you expert advise on whats best for your project. This fee will be credited to your bill after we complete your project. We will also refund this fee if you have a reputable competitor offering the same quality for a lower price and we cannot at least match that price after being given the opportunity to do so. I can usually beat a price fairly substantially, not by just a few bucks. I want to earn your business! The fee is refunded only after the competitor does the work, and not just by an estimate. As an additional bonus If your glass tinting project is over $600.00 I will credit you back $75.00. So if your a serious about having your Home or Office Tinted and your just trying to find a reputable established company to do the work at a fair price the Customer Pay Estimate procedure is the way to go. If your not sure if Glass Tinting is in your budget, the Free Estimate procedures above would be best. Note, the trip charge fee is for small residential or small store front projects that really can be more efficiently estimated by phone. This trip charge fee can be waived at our discretion and does not apply to large Residential or large more complex Commercial Glass Tinting projects! Expert advise is always Free!! So feel free to call us with any questions! Check out our References!! Our Photo Gallery!